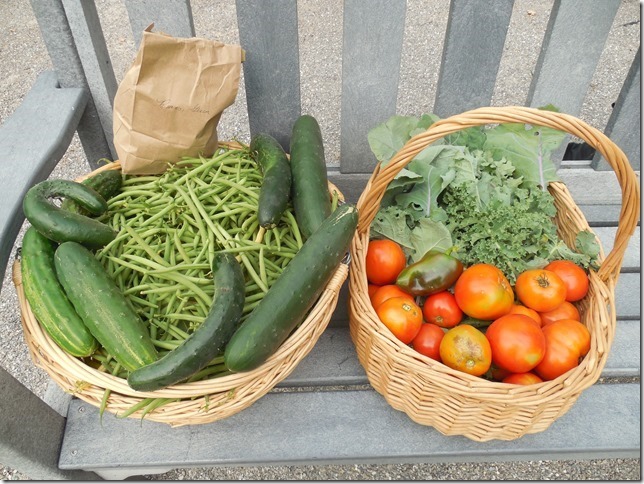 Over the past summer, several groups in our community grew and donated fresh produce to the Salvation Army’s local food bank. We would like to acknowledge and thank the following groups: the Maryboro Lodge museum’s “Victory Garden” which was created and managed by members of the Fenelon Falls Horticultural Society, students from Langton Public School’s “Green Team,” and students from Fenelon Falls Secondary School led by teacher Colleen Carew, as well as many individual members of our community contributed to this bounty of fresh produce for our food bank. So, to all of you who helped with donations of funding for building supplies to build the gardens, seeds and plants, and your labour to harvest the produce that helped put food on the tables of those who needed a helping hand to feed their families, a huge “Thank You.” Your work and your donations were gratefully received and appreciated by those less fortunate, who enjoyed the fruits of your labour. For some, hunger is a constant problem and there are some simple ways that you can help. Then next time you go to the grocery store, buy a few extra items and either drop them into the food bank barrel as you leave the store, or take them to your local food bank. When you are planting your veggie garden next spring, why not plant and grow an extra row of veggies to give to the food bank. I know that on many occasions, I tend to plant more than I need and it all seems to mature at the same time, which allows me to share some of my garden abundance with those who need and will enjoy it. You, or someone you know, may also have one or more fruit trees, or a big patch of rhubarb that produces far more than you or they can possibly eat or freeze. Please don’t let it go to waste. Our local food bank would be a great place to share it with. Merry Christmas to all of you and a prosperous, caring and sharing New Year. Be kind to one another.